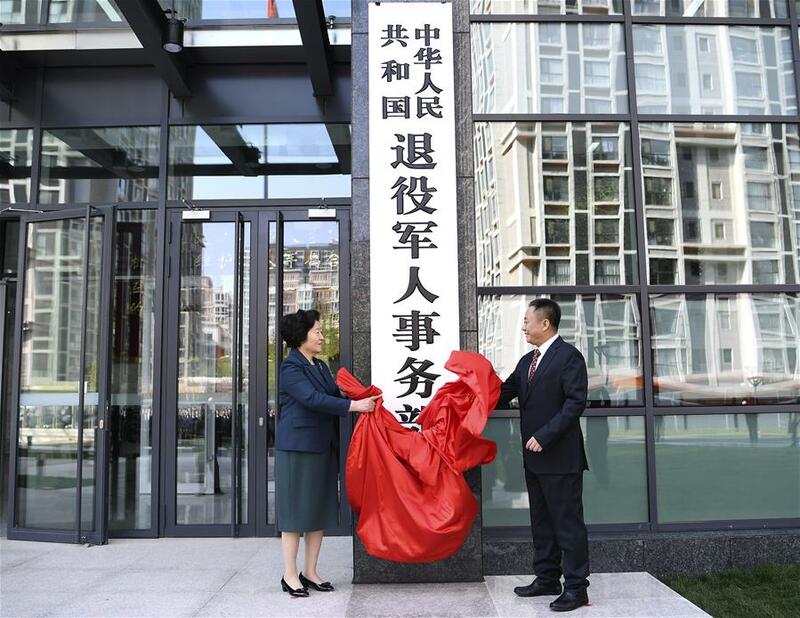 BEIJING, April 16 (Xinhua) -- The Ministry of Veteran Affairs formally started operation Monday, as a new establishment in the wide-ranging Party and state institutional reform. "The ministry will work for a centralized and unified management and support system for veterans with clarified power and duties," said Vice Premier Sun Chunlan at the inauguration ceremony. "The ministry's work is important for motivating veterans to play a constructive role in their civilian life and attracting more young talent to join the service." "The ministry should provide better service and protect the legal rights and interests of veterans so that military service can be one of the most dignified careers and veterans will have a higher sense of fulfillment and happiness," she said.